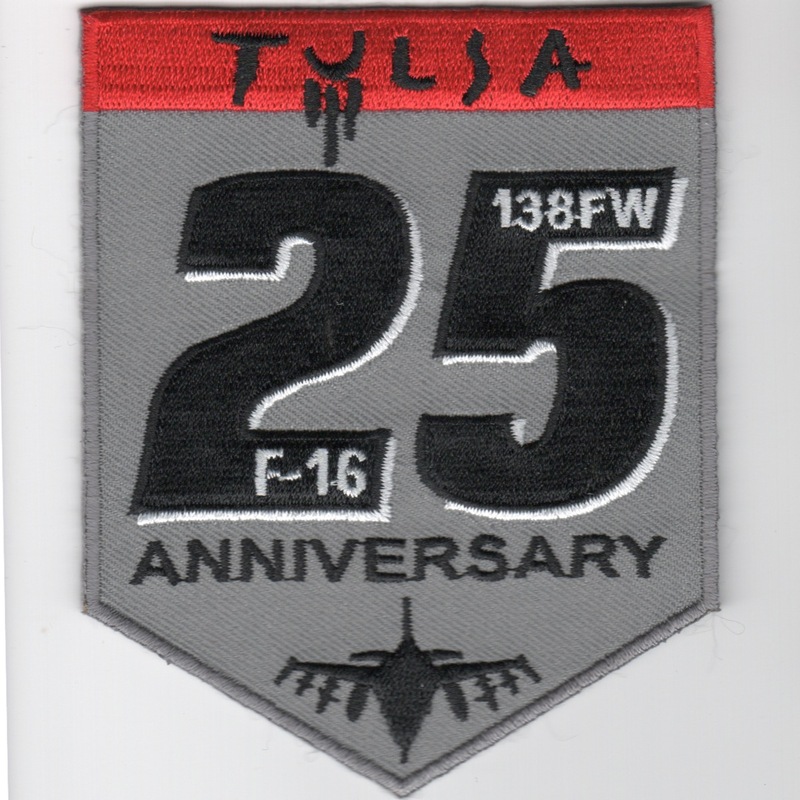 The 138th Fighter Wing (138 FW) is a unit of the Oklahoma Air National Guard, stationed at the Tulsa Air National Guard Base at Tulsa International Airport in Tulsa, Oklahoma. When activated to federal service as a United States Air Force unit, the 138 FW is gained by the Air Combat Command (ACC). This patch (shield) is their 25th Anniversary patch and does not have velcro. This is a patch created for a 4-ship of "high-time" F-16 guys that flew in a single formation.....13,802 hours in a Viper is nothing to sneeze at! That's a lot of flights!! This is the desert version of the 140th Operational Support Squadron (OSS) crest out of Buckley AFB, CO. 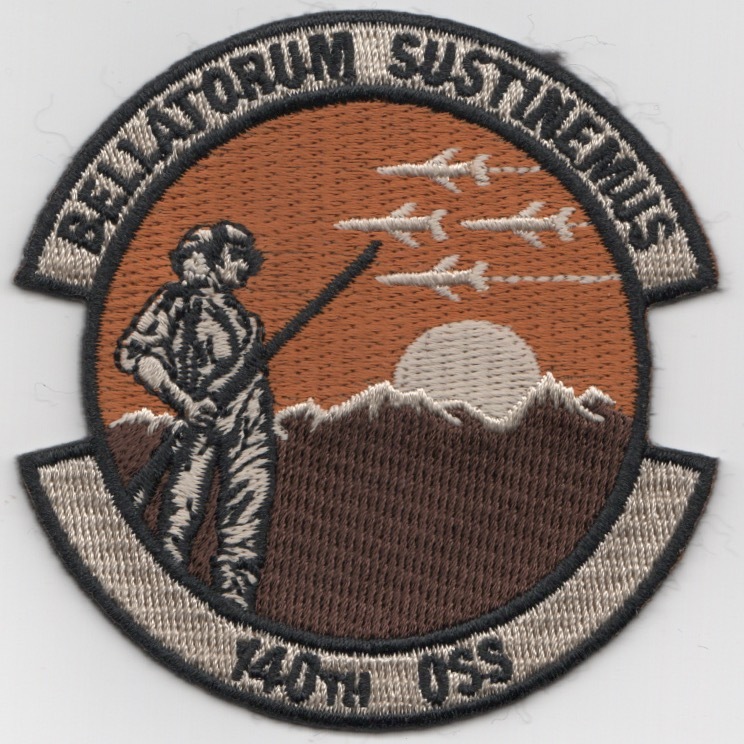 This patch says "BELLATORUM SUSTINEMUS" (top) and does not come with velcro attached. 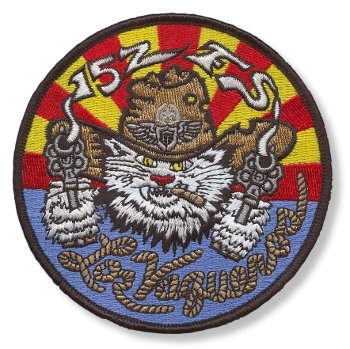 This is the "Los Vaqueros" Friday patch for the 152nd Fighter Squadron that flies the F-16 Fighting Falcon. This is the round/blue version of the current squadron patch for the 157th Fighter Squadron, the Viper squadron for the SC Air National Guard. This patch does not come with velcro attached. 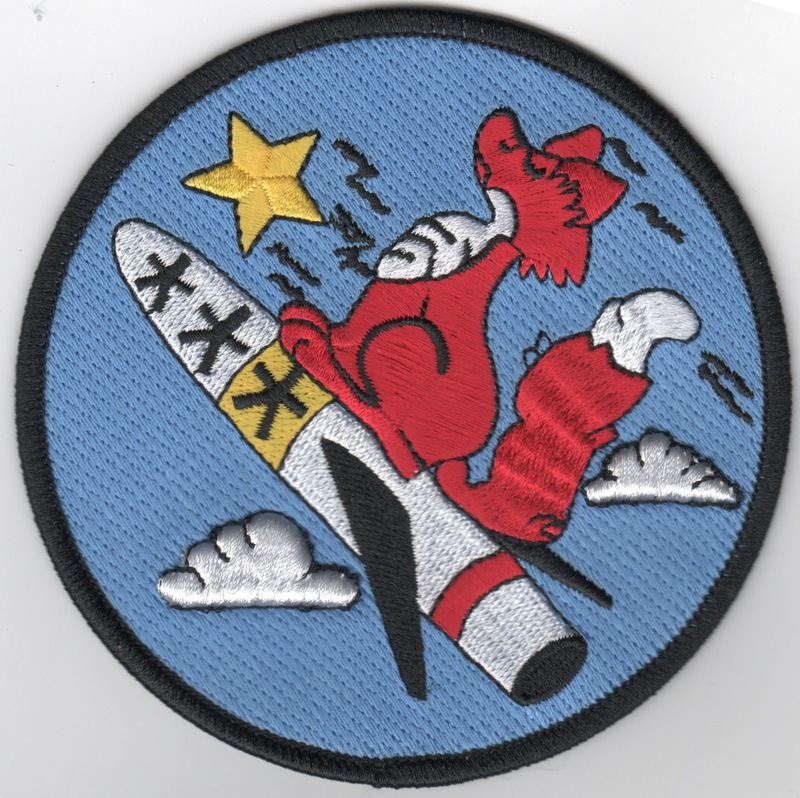 This is the color version of the small "wolfhead" patch for the 157th Fighter Squadron, the Viper squadron for the SC Air National Guard. This is the blue version of the "HERITAGE patch for the 157th Fighter Squadron, the Viper squadron for the SC Air National Guard. This patch does not have velcro attached. This is the desert version of the "HERITAGE patch for the 157th Fighter Squadron, the Viper squadron for the SC Air National Guard. It does not have velcro attached. 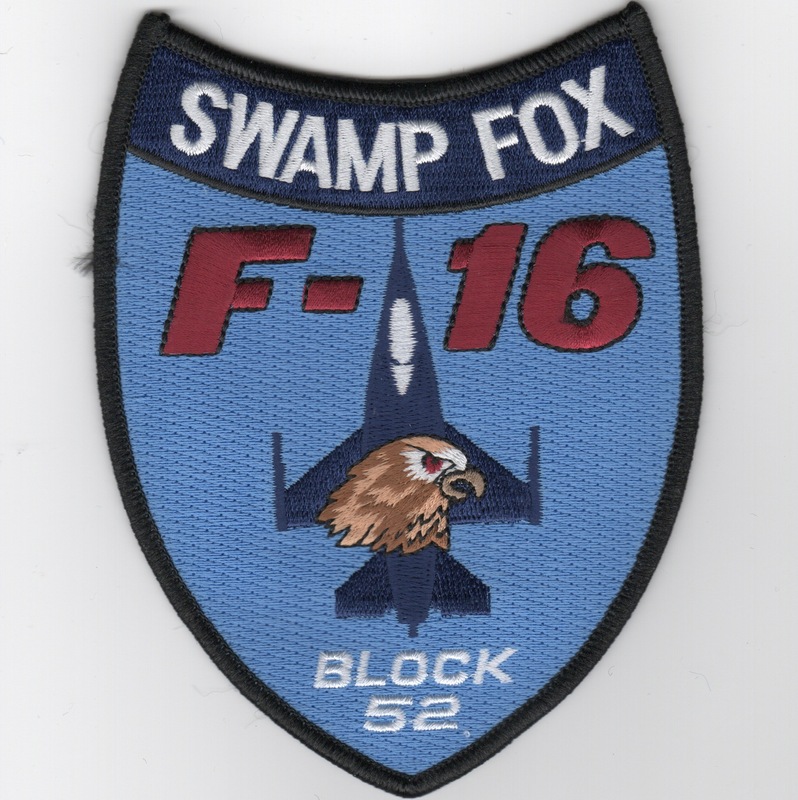 This is the color version of the F-16 'Block 52' upgrade for the 157FS 'Swamp Foxes'. 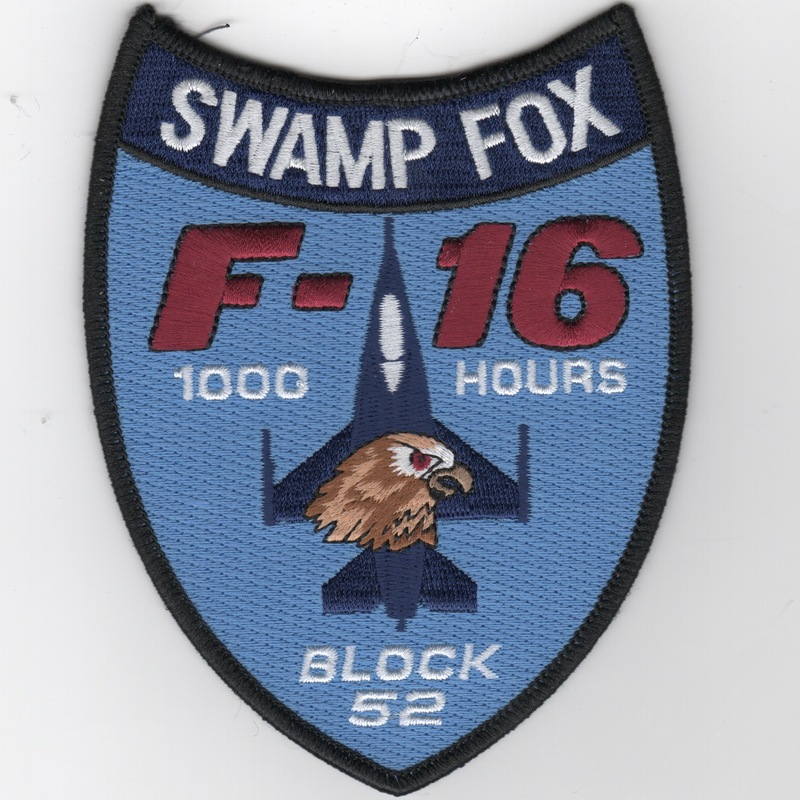 This is the color version of the 1000 Hours patch worn by those pilots in the F-16 'Block 52' upgrade for the 157FS 'Swamp Foxes'. 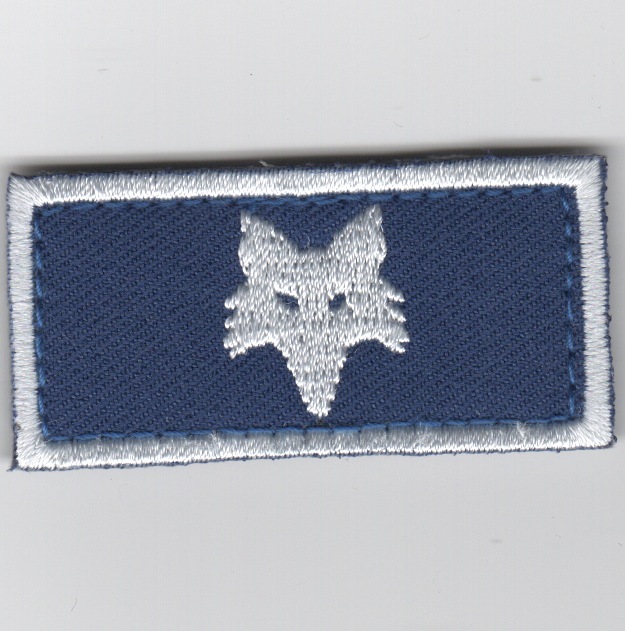 This is the color version of the Flight Suit Sleeve (FSS) patch depicting the 157FS mascot, the Fox head. 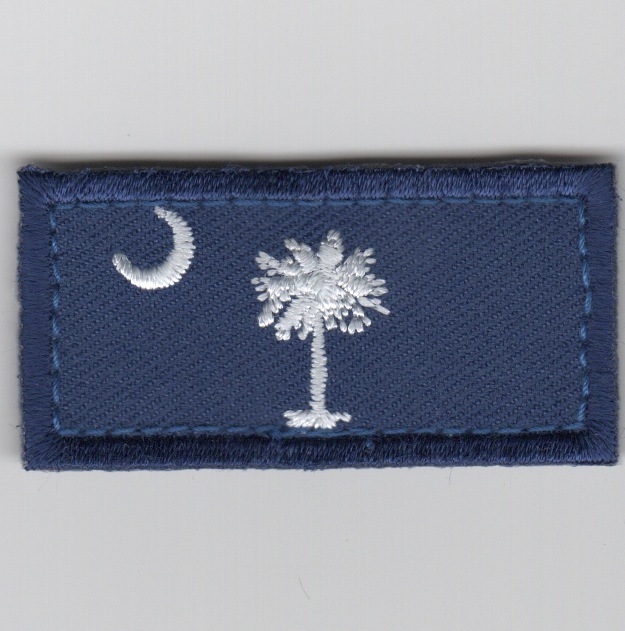 This is the color version of the Flight Suit Sleeve (FSS) patch depicting the 157FS home state of South Carolina. This is the desert version of the current squadron patch for the 160th Expeditionary Fighter Squadron, the Viper unit that was (at one time) forward deployed to PSAB. 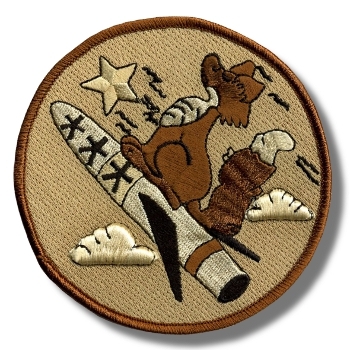 This is the color version of the squadron patch for the 162nd Fighter Squadron. 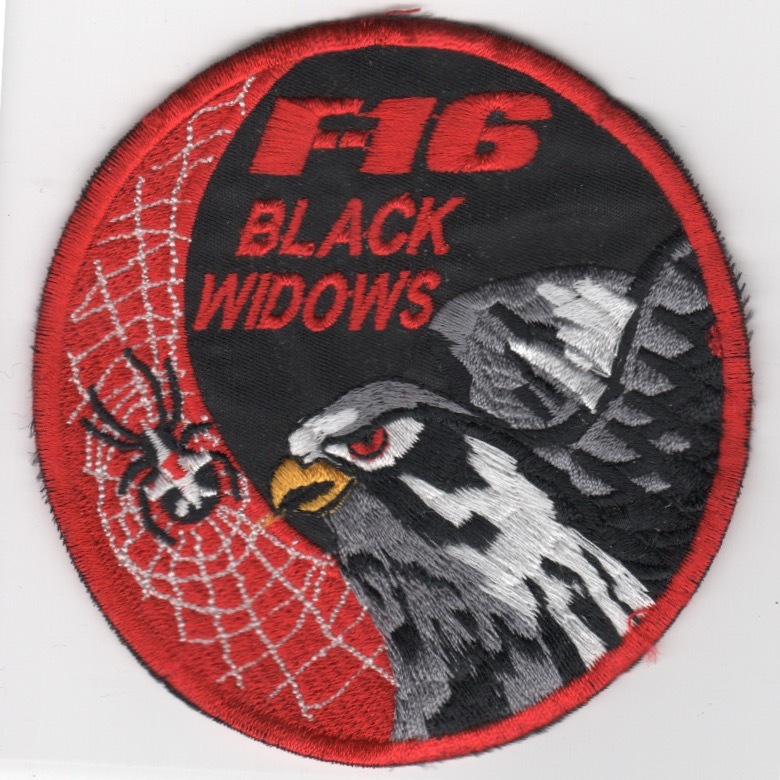 This is the color version of the 'P-51 to F-16' Reunion squadron patch for the 162nd Fighter Squadron located in Iowa. 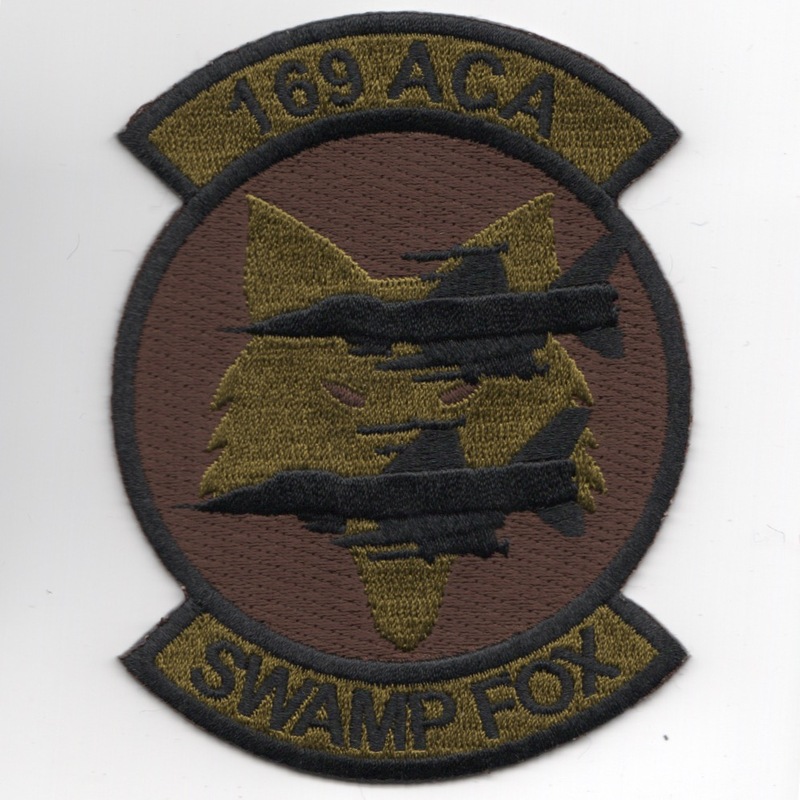 This is the OCP version of the 169 'ACA' Swamp Fox squadron patch. It shows two F-16 Vipers on the patch, but have to admit, I'm unsure what the ACA stands for or where these are located. Anyone know? 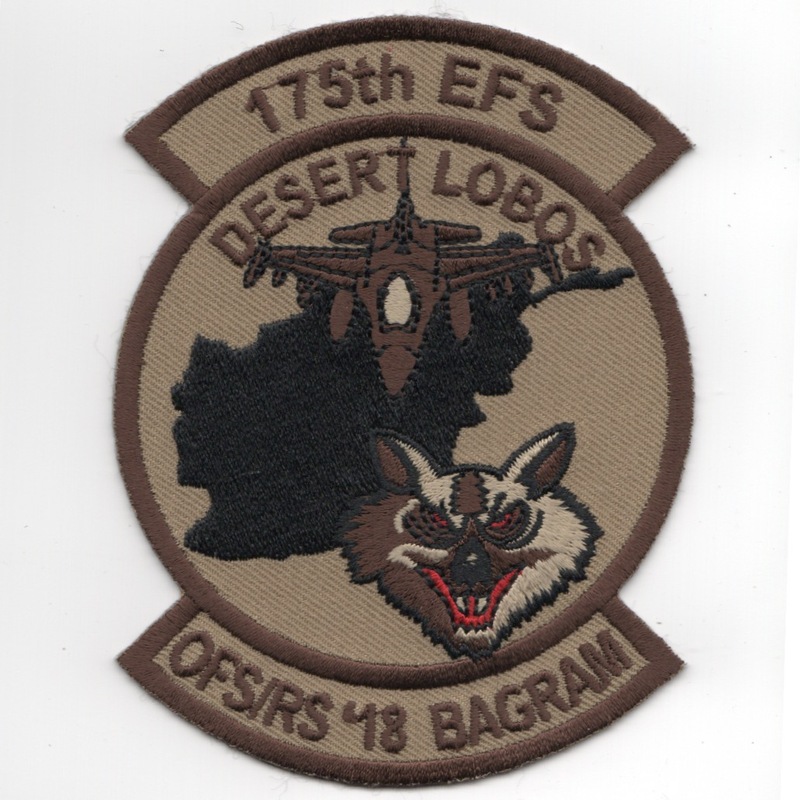 This is the desert version of the 175th Expeditionary Fighter Squadron (EFS) for the 'Desert Lobos' that participated in the 2018 OFS/RS at Bagram, Iraq. This patch does not come with velcro attached. This is the desert version of the aircraft patch for the 175th Fighter Squadron "Lobos" that flies the F-16 for the SD Air National Guard. This is the color version of the 175th Fighter Squadron aircraft patch for the SD Air National Guard. This is the desert version of the 175th Fighter Squadron aircraft patch for the SD Air National Guard. This is the desert version of the LOBOS "tab" patch worn on the left sleeve of the flight suit for pilots that fly the F-16 Viper for the IA Air National Guard out of Des Moines, IA. 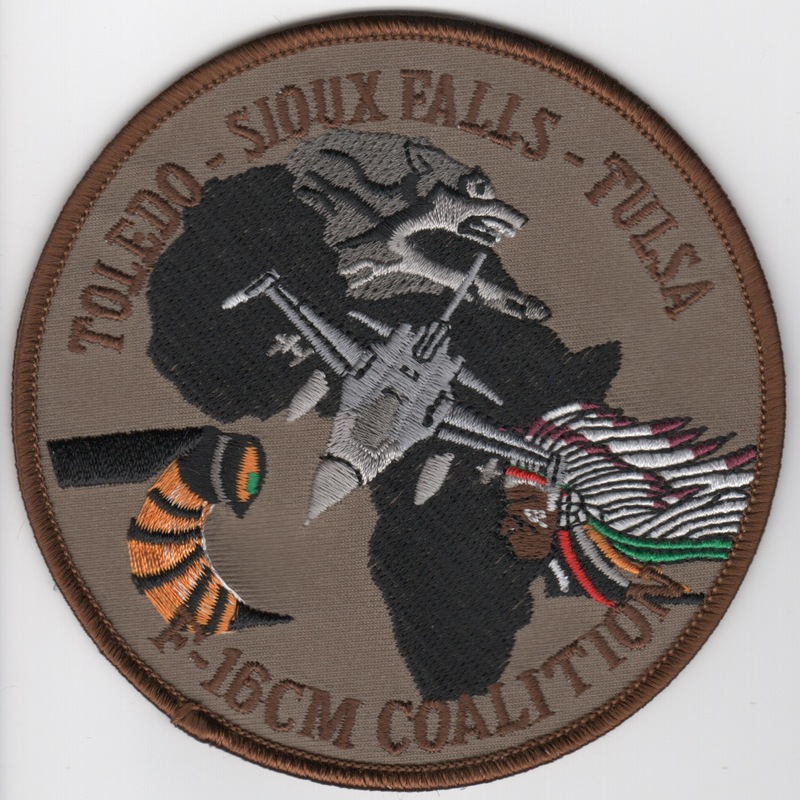 This is the desert version of the "Gaggle" patch for the Toledo, OH F-16 unit (112FS), the Sioux Falls F-16 unit (175FS), and the Tulsa, OK F-16 unit (125FS) that fly the F-16. This was their "Coalition" patch created for their "joint deployment". 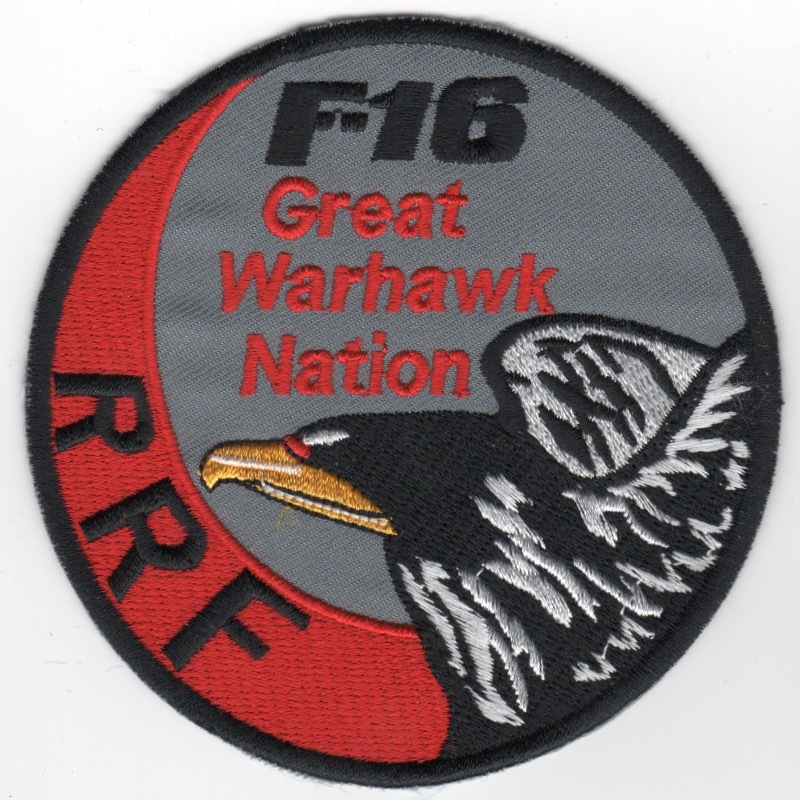 The 176th Fighter Squadron (176 FS) is a unit of the Wisconsin Air National Guard 115th Fighter Wing located at Truax Field Air National Guard Base, Madison, Wisconsin. The 176th is equipped with the F-16 Fighting Falcon. 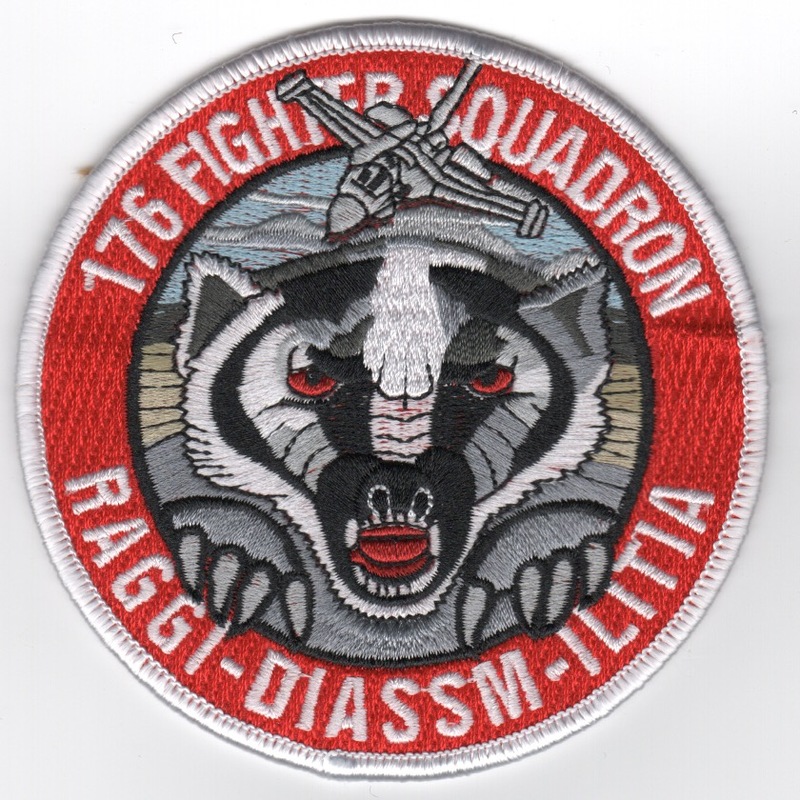 This is the color version of the current squadron patch for the 176 that shows a WISCONSIN BADGER and does not come with velcro attached. This is the desert version of the current squadron patch for the 176th Fighter Squadron that flies the Viper for the WI Air National Guard out of Madison, WI. This is the R.A.M. 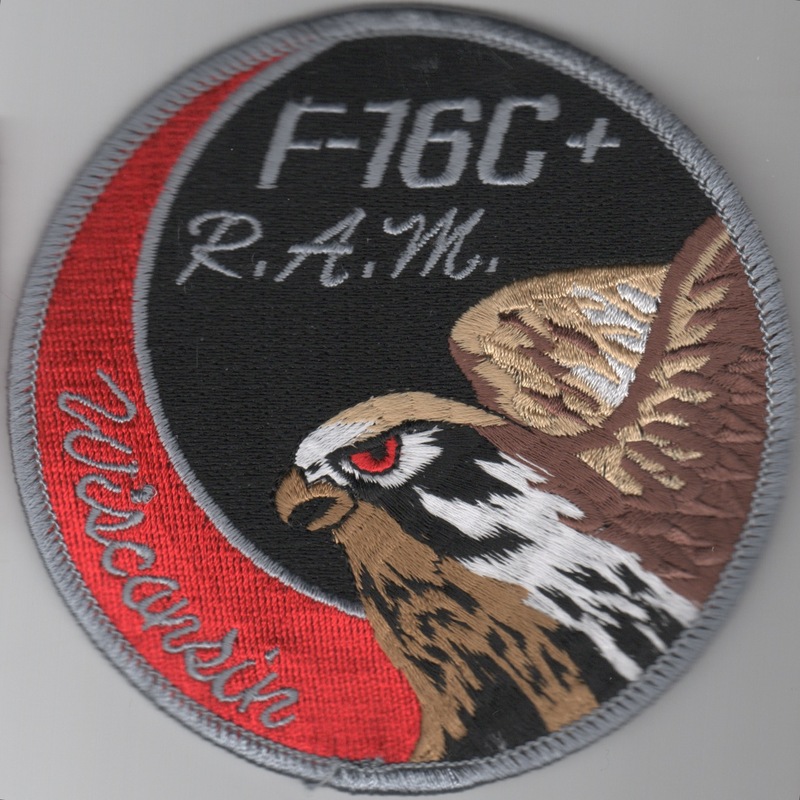 F-16C+ patch for the 176th Fighter Squadron that flies the Viper for the WI Air National Guard out of Madison, WI. According to their history, "RAM" stands for "RAGGI * DIEASSM * ILITIA".......love the "heritage" tip-o-the-hat patches like this one. It does not come with velcro attached. 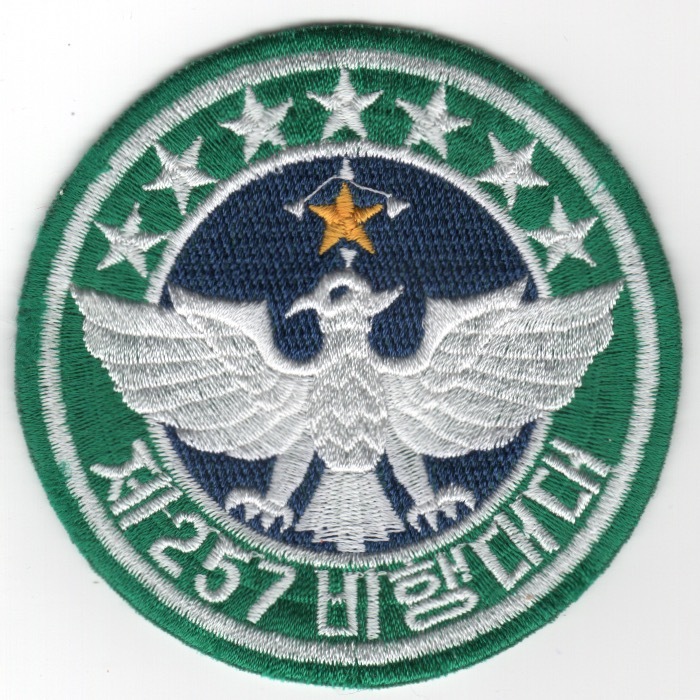 (Korean): The Republic of Korea Air Force (ROKAF), also known as the ROK Air Force, is the aerial warfare service branch of South Korea, operating under the South Korean Ministry of National Defense. I found this patch in a Korean embroidery shop in limited quantities, has that "theater-made" feel about it, and does not come with velcro attached. 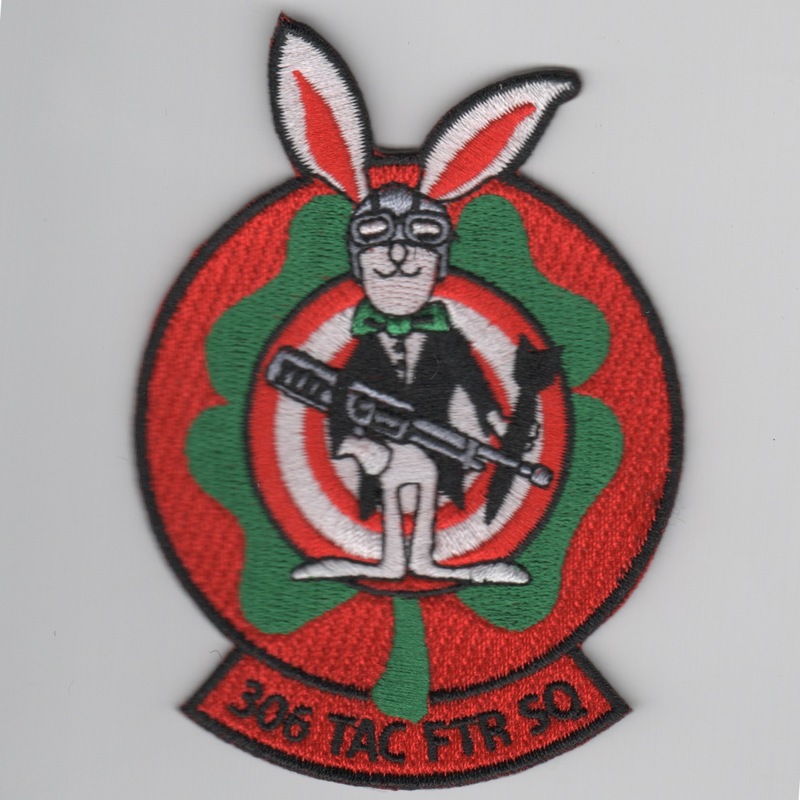 This is the a REPRODUCTION patch created to commemmorate the history of the 306th Fighter Squadron. The squadron was first activated as the 306th Fighter-Bomber Squadron in 1957 when the 31st Wing expanded from three to four squadrons and was equipped with the North American F-100 Super Sabre. In 1965 it deployed with its "Huns" to Vietnam, where it engaged in combat until returning to the United States in 1970. It was inactivated in 1971l but was active at Homestead Air Force Base, Florida for two brief periods in the 1970s with the McDonnell F-4 Phantom II and 1980s with the General Dynamics F-16 Fighting Falcon. This patch does not come with velcro attached. 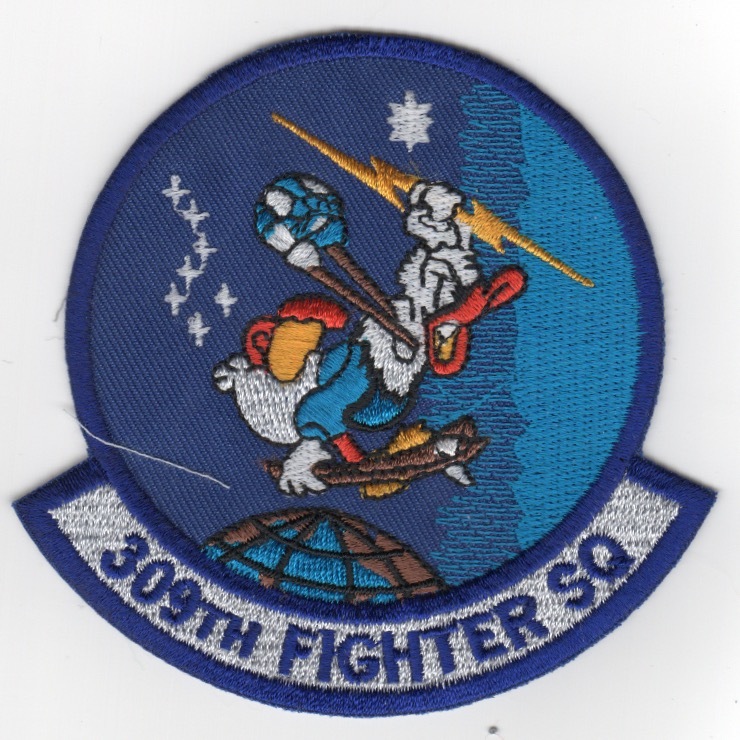 (Korean): The 309FS is part of the 56th Operations Group at Luke Air Force Base, AZ. It operates the F-16 Fighting Falcon aircraft conducting advanced fighter training. The 309th FS ("Wild Ducks"), flies F-16C and F-16D aircraft drawn from production Blocks 25 and 42 conducting F-16 crew training for active duty USAF pilots. I found this patch in a Korean embroidery shop in limited quantities, has that "theater-made" feel about it, and does not come with velcro attached. This is the desert version of the 332nd's Expeditionary Fighter Squadron "Red Tails" deployment patch. They are the parent unit at Balad AB, Balad IRAQ, and own the lineage to the old 332nd FG from WWII, the "Tuskegee Airmen", hence the "Red Tails" name. They cover the F-16 units that have deployed there for OIF II at Balad, but I believe they were at Talil for OIF I. The initial units at Balad were the 120th FS, Colorado ANG, 188th FS New Mexico ANG and 186th FS Montana ANG. The second rotation was the 421st FS, 388th FW from Hill. The current outfit is another Hill outfit, the 34th FS. 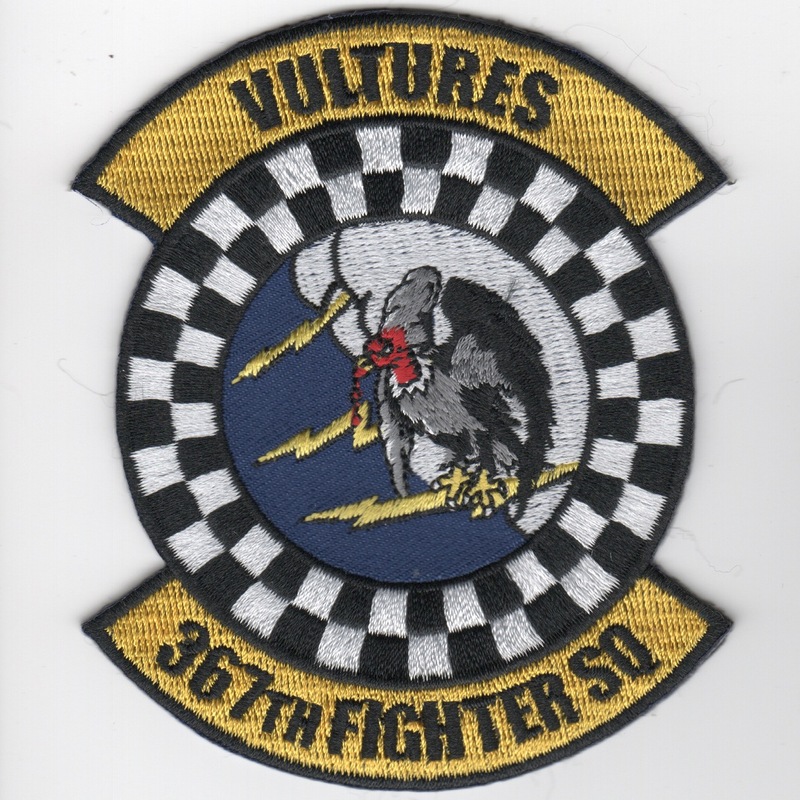 This is the guard version of the 332nd's Expeditionary Fighter Squadron "Red Tails" deployment patch. They are the parent unit at Balad AB, Balad IRAQ, and own the lineage to the old 332nd FG from WWII, the "Tuskegee Airmen", hence the "Red Tails" name. This is the combined patch from the three guard units located in Wisconsin, Montana & Iowa. The 367th Fighter Squadron is a "reverse" associate United States Air Force unit, stationed at Homestead Air Reserve Base, Florida, where it operates and maintains the General Dynamics F-16 Fighting Falcons of the 482d Fighter Wing of the Air Force Reserve Command. Its parent is the 495th Fighter Group at Shaw Air Force Base, South Carolina. This patch does not have velcro attached. This is the color version of the 389th FS's "young 'uns" that formed their Lt. Protection Agency (LPA) and are stationed at Mountain Home AFB, ID. The 421FS is part of the 388FW at Hill Air Force Base, UT. It operates the Block 40 General Dynamics F-16 Fighting Falcon aircraft conducting air superiority missions. The squadron is one of the most decorated fighter squadrons in the USAF, being awarded 3 Presidential Unit Citations and 7 Air Force Outstanding Unit Awards for Valor in Combat. 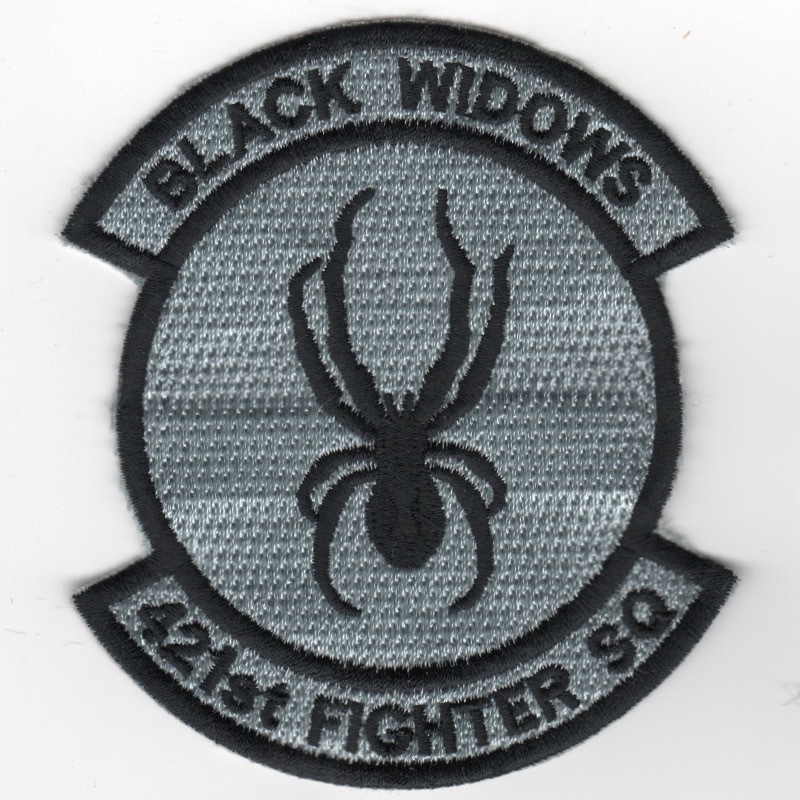 The unit was originally formed as the 421st Night Fighter Squadron in 1943. After training, it was deployed to Fifth Air Force and ordered to New Guinea to provide air defense interceptor protection against Japanese night air raids on USAAF airfields. It later served on Okinawa and in Occupied Japan where it was inactivated in 1947. It was reactivated by TAC in 1962 as the 421TFS. Equipped with F-105 Thunderchiefs, it deployed to Southeast Asia and engaged in combat operations over North Vietnam. It returned to the US and was re-equipped with the F-4D Phantom II and returned to Southeast Asia for a second and later third tour of duty in the Vietnam War. It was one of the first USAF Squadrons equipped with the F-16A Fighting Falcon in 1980 and went on to serve in the 1991 Gulf War. This is the gray version of the 421FS patch with the black merrowed border and does not come with velcro attached. The 421FS is part of the 388FW at Hill Air Force Base, UT. It operates the Block 40 General Dynamics F-16 Fighting Falcon aircraft conducting air superiority missions. The squadron is one of the most decorated fighter squadrons in the USAF, being awarded 3 Presidential Unit Citations and 7 Air Force Outstanding Unit Awards for Valor in Combat. The unit was originally formed as the 421st Night Fighter Squadron in 1943. After training, it was deployed to Fifth Air Force and ordered to New Guinea to provide air defense interceptor protection against Japanese night air raids on USAAF airfields. It later served on Okinawa and in Occupied Japan where it was inactivated in 1947. It was reactivated by TAC in 1962 as the 421TFS. Equipped with F-105 Thunderchiefs, it deployed to Southeast Asia and engaged in combat operations over North Vietnam. It returned to the US and was re-equipped with the F-4D Phantom II and returned to Southeast Asia for a second and later third tour of duty in the Vietnam War. It was one of the first USAF Squadrons equipped with the F-16A Fighting Falcon in 1980 and went on to serve in the 1991 Gulf War. This is the gray version of the 421FS patch with the black 'CUT' edge border and does not come with velcro attached. I found these in a Korean embroidery shop and it has that "theater-made" feel to it. For the 421FS history, please note above. 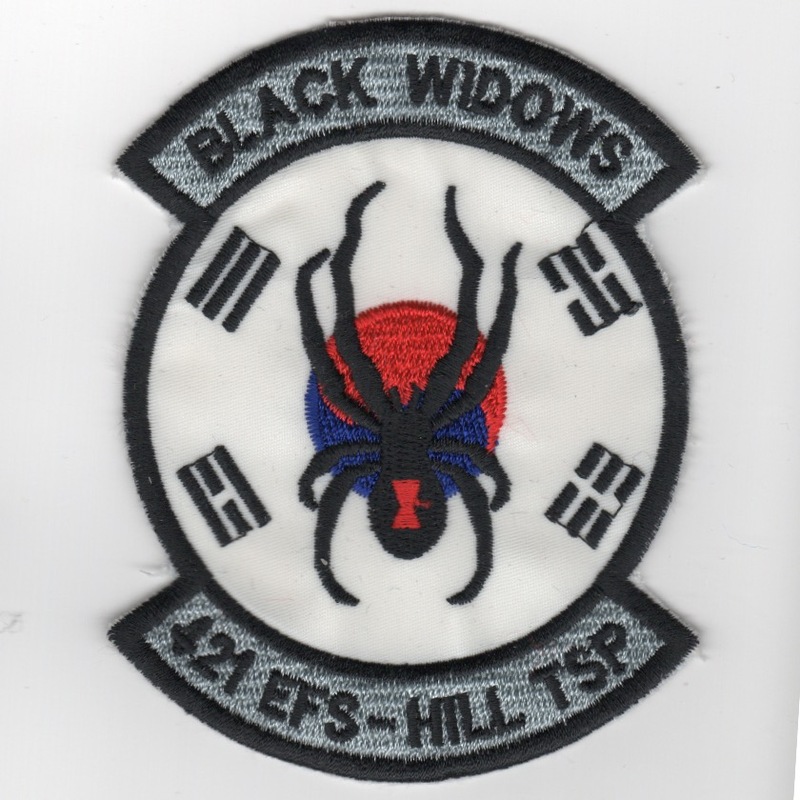 This patch is the white version of the 421FS 'HILL TSP' patch with the black 'CUT' edge border and does not come with velcro attached. It shows the "Black Widow" spider on the Korean Flag. I found these in a Korean embroidery shop and it has that "theater-made" feel to it. For the 421FS history, please note above. This patch is the red-black version of the 421FS 'SWIRL' patch with the red 'CUT' edge border and does not come with velcro attached. It shows the "Black Widow" spider in the "swirl" with the standard Falcon-head. I found these in a Korean embroidery shop and it has that "theater-made" feel to it. This is the color version of the current squadron patch for the 457th Fighter Squadron that flies the Viper out of Carswell Field, NAS Fort Worth, TX. This is the desert version of the current squadron patch for the 457th Fighter Squadron that flies the Viper out of Carswell Field, NAS Fort Worth, TX. This is the color version of the current aircraft patch for the 457th Fighter Squadron that flies the Viper out of Carswell Field, NAS Fort Worth, TX. This is the desert version of the current aircraft patch for the 457th Fighter Squadron that flies the Viper out of Carswell Field, NAS Fort Worth, TX. The 480FS is an active USAF unit. It is assigned to the 52d Operations Group, stationed at Spangdahlem Air Base, Germany. In April 2010 the 52nd Fighter Wing's strength was reduced by one third when 20 F-16Cs were transferred to other units. As a result of the drawdown of F-16s, the 22d and 23d Fighter Squadrons were inactivated on 13 August 2010 and formed a single "new" squadron, the 480th Fighter Squadron. It was reactivated on the same day (13 August 2010). I found this patch in a Korean embroidery shop, it has the "theater-made" feel with the 'cut' edge, and does not have velcro attached. Homepage | Order Misc F-16 Patches!